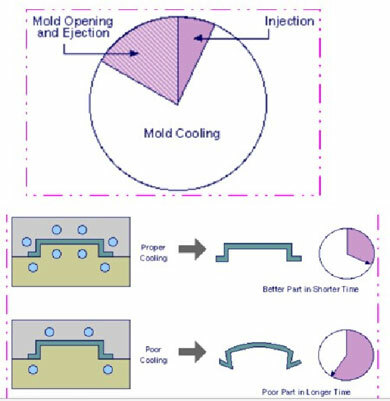 There are many factors that affect the mold structure and the individual mold system. It is very complicated. According to the geometric characteristics of plastic parts, dimensional accuracy requirements, batch size, ease of injection mold manufacturing, injection mold costs, etc. to determine the number of cavities and its arrangement. For the injection mold, the precision of the plastic parts is Grade 3 and Grade 3a, and the weight is 5 grams. 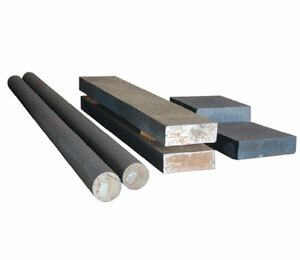 The hardening casting system is used, and the number of cavities is 4-6. Plastic parts are generally accurate (4-5 grades), molding materials are partially crystalline materials, and the number of cavities is 16-20. The weight of plastic parts is 12-16 grams and the number of cavities is 8-12. The weight of 50-100 grams of plastic parts, the number of cavities takes 4-8. The number of cavity types for amorphous plastic parts is 24-48, 16-32, and 6-10. As the weight of plastic parts continues to increase, multi-cavity molds are rarely used. For grade 7-9 plastic parts, the maximum number of cavities is 50% higher than the indicated 4-5 grade plastic. The location of the parting surface should be conducive to injection mold processing, exhaust, molding and molding operations, and the surface quality of plastic parts. Whether the position of the parting surface and the precision of finishing meet the requirements will not happen flash, and whether the plastic parts can be left on the mold side with the ejector after the mold is opened can be ensured. 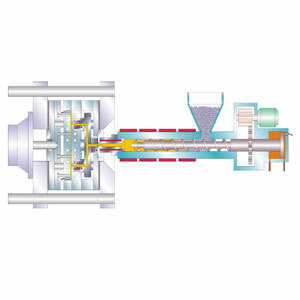 Casting system (shape, position, size of the main runner, branch runner, and gate) and exhaust system (exhaust method, exhaust slot position, size). The ejector method (jacks, pipe jacks, push plates, combined ejectors) determines the undercut method and the core pull method. Including cooling, heating method and heating and cooling groove shape, position, heating element installation site. According to the injection mold material, strength calculation or empirical data, to determine the injection mold parts thickness and dimensions, shape structure, and all connections, positioning, guide position. The main molded part structural form of structural parts, structural form of structural parts. Consider the strength of each part of the injection mold and calculate the working dimensions of the molded part. 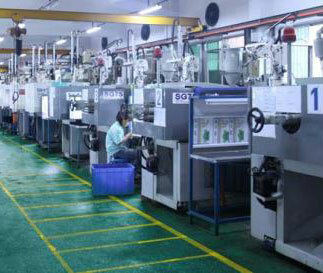 If these problems are solved, the structure of injection molds will naturally be solved. At this time, you should start sketching the structure of the injection mold to prepare for the formal drawing.